Spiro Mitrokostas was all in preflop with 7♠7♦ but was up against the J♠J♥ of Long Tran. The board ran out clean for Long, falling 2♣Q♣A♥4♠5♣, and Spiro was eliminated in 3rd place. He will collect $30,239 for his efforts. On the turn with the board reading [8c][Ts][Qd][5c], Daniel Chan bet out only to see Long Tran move all in. Daniel made the call and showed the [8d][5d], having turned two pair. Long was live with a straight draw, however, holding the [Kc][Js]. It all came down to the river, which fell [8s] to give Daniel the winning full house. He will earn $81,611 as well as the title and the trophy. 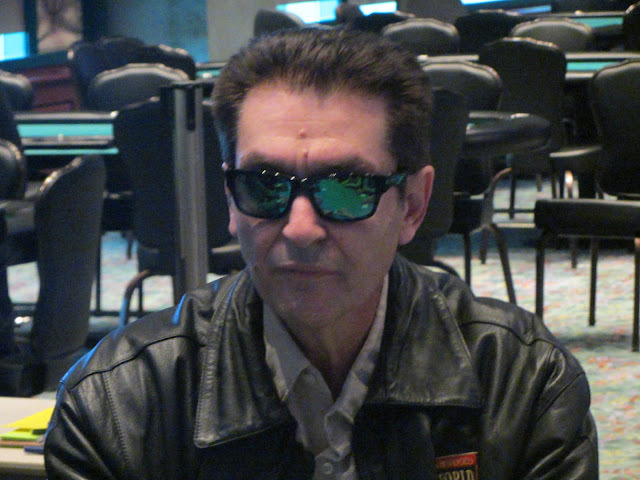 With the elimination of Spiro Mitrokostas in 3rd place, the tournament is now heads up. 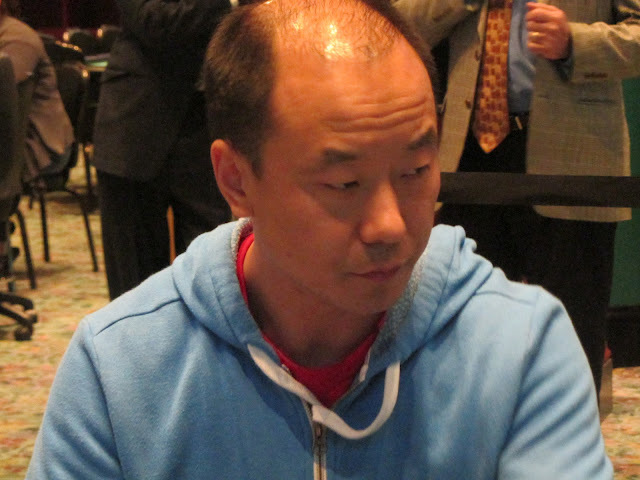 Pictured above, Long Tran faces off in a big pot against chip leader Daniel Chan. The winner will collect $81,611, while the second place finisher will collect $47,076. If you're not already tuned in, you can watch the action live at www.FoxwoodsLive.com. Spiro Mitrokostas was all in preflop with [7s][7d] but was up against the [Js][Jh] of Long Tran. The board ran out clean for Long, falling [2c][Qc][Ah][4s][5c], and Spiro was eliminated in 3rd place. He will collect $30,239 for his efforts. The final three players have taken their seats, and they are now playing 40,000/80,000 blinds with a 10,000 ante. 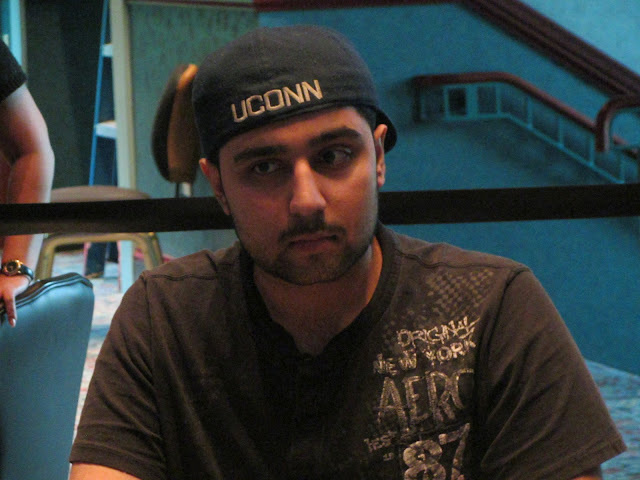 Soheb Porbandarwala got the last of his chips in with A♣6♣ against A♦7♠. The flop fell a dramatic 7♣Q♦J♣, giving Soheb a club flush draw and his opponent a pair of sevens. The turn fell the 6♠, giving Soheb two extra outs to trip sixes. But the river 4♦ left his opponent with the winning hand, and Soheb was sent to the rail in 4th place, good for $24,225. Soheb Porbandarwala got the last of his chips in with [Ac][6c] against [Ad][7s]. The flop fell a dramatic [7c][Qd][Jc], giving Soheb a club flush draw and his opponent a pair of sevens. The turn fell the [6s], giving Soheb two extra outs to trip sixes. But the river [4d] left his opponent with the winning hand, and Soheb was sent to the rail in 4th place, good for $24,225. On a T♠9♣J♦ flop, Spiro Mitrokostas moved all in, having William Boling covered. William made the call saying, "I have outs." William had flopped two pair with his J♣9♦, so it was Spiro who was drawing to the best hand with his A♠A♣. The 4♠ turn changed nothing, but the T♦ on the river counterfeited William's two pair to give Spiro a better two pair. William will exit this tournament in 8th place, good for $10,308. Albert Muir was all in preflop holding A♥K♥, but was coolered as Daniel Chan woke up with K♦K♣. Albert picked up four extra outs to a straight when the flop fell 3♣T♥J♠, but the turn J♣ and river 6♦ failed to improve his hand. 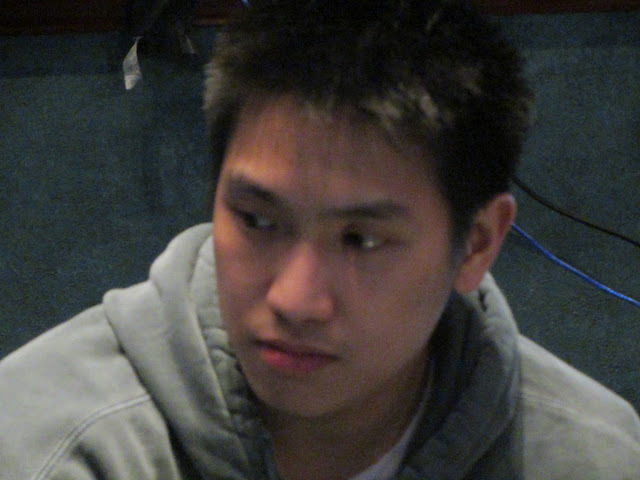 Albert will exit this tournament in 5th place, good for $18,727. Blinds are up to 30,000/60,000 with a 10,000 ante. Albert Muir was all in preflop holding [Ah][Kh], but was coolered as Daniel Chan woke up with [Kd][Kc]. Albert picked up four extra outs to a straight when the flop fell [3c][Th][Js], but the turn [Jc] and river [6d] failed to improve his hand. Albert will exit this tournament in 5th place, good for $18,727. Heidi Alexander was all in preflop holding the Q♠9♠ against Daniel Chan's A♦K♠. The flop fell 5♦8♣3♥, and Heidi was still left drawing to her two live cards. She was successful in making a pair on the Q♥ turn, but the K♥ river gave Daniel a better two pair. Heidi will earn $12,714 for her 7th place finish. Yadong Pan got coolered to bust out of this event in 9th place, picking up K♥K♦ against Daniel Chan's A♥A♦. To make things worse, Daniel flopped top set when the flop fell T♦7♥A♠, and Yadong was drawing dead on the 8♠ turn. 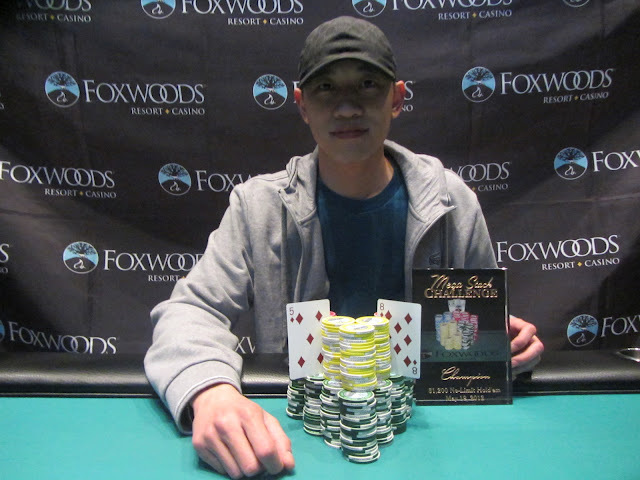 The 2♦ hit the river, and Yadong was sent to the payout desk to collect his $8,093. 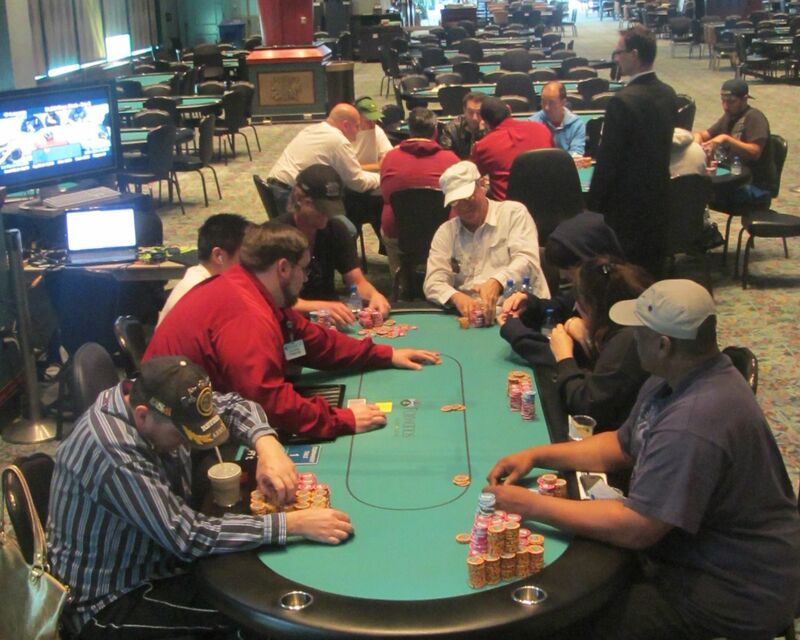 The 5 remaining players at the $1,200 Mega Stack final table are now on break. When they return, they will be playing 25,000/50,000 blinds with a 5,000 ante. 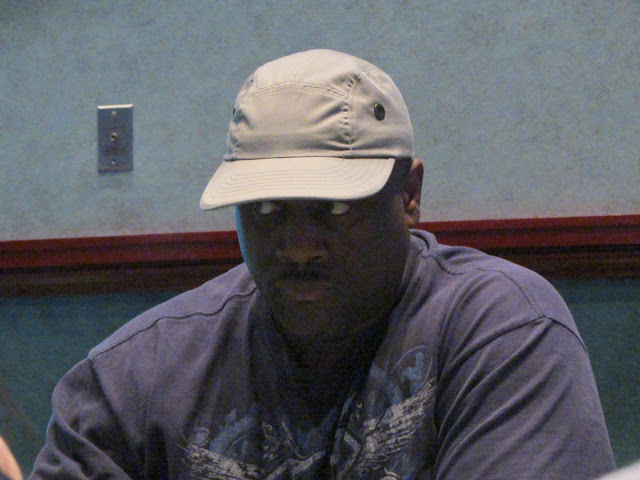 Milton Thomas Jr. got the last of his chips in with J-T on a Q-5-5 flop and was up against the K-J of Daniel Chan. A jack fell on the turn to give Milton some chop outs, but the river was a blank. Milton will earn $15,292 for his 6th place finish. 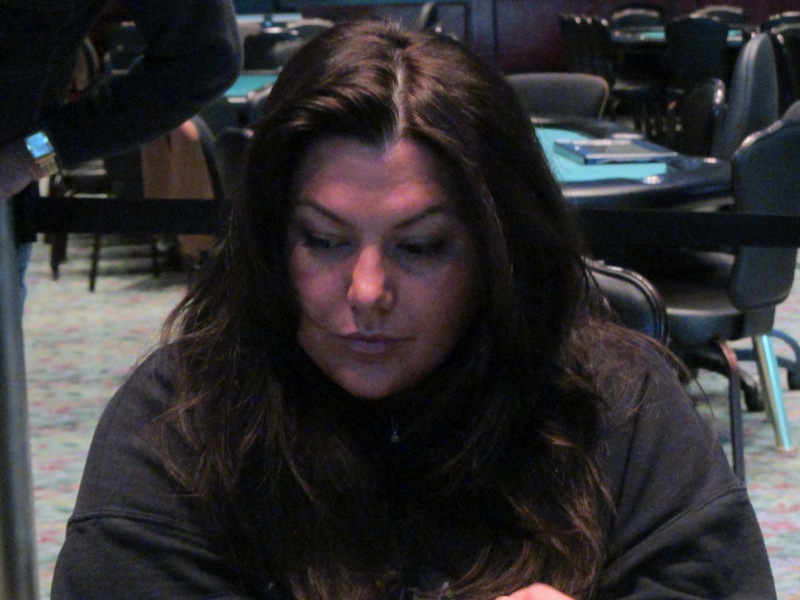 Heidi Alexander was all in preflop holding the [Qs][9s] against Daniel Chan's [Ad][Ks]. The flop fell [5d][8c][3h], and Heidi was still left drawing to her two live cards. She was successful in making a pair on the [Qh] turn, but the [Kh] river gave Daniel a better two pair. Heidi will earn $12,714 for her 7th place finish. On a [Ts][9c][Jd] flop, Spiro Mitrokostas moved all in, having William Boling covered. William made the call saying, "I have outs." William had flopped two pair with his [Jc][9d], so it was Spiro who was drawing to the best hand with his [As][Ac]. The [4s] turn changed nothing, but the [Td] on the river counterfeited William's two pair to give Spiro a better two pair. William will exit this tournament in 8th place, good for $10,308. Yadong Pan got coolered to bust out of this event in 9th place, picking up [Kh][Kd] against Daniel Chan's [Ah][Ad]. To make things worse, Daniel flopped top set when the flop fell [Td][7h][As], and Yadong was drawing dead on the [8s] turn. The [2d] hit the river, and Yadong was sent to the payout desk to collect his $8,093. 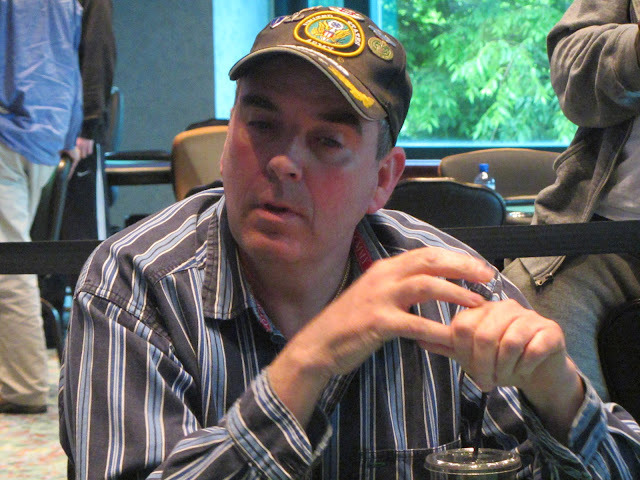 On the second hand of our final table, Reuben Peters moved all in and was called by Yadong Pan. Reuben was ahead with the [6h][6d], but was in a race against Yadong's [As][Js]. The flop fell [4h][4c][Ac], leaving Reuben needing one of the two remaining sixes to survive. The turn [8h] and river [Tc] were not what he was looking for, however, and he will exit this tournament in 10th place. Reuben will collect $6,013 for his efforts. With the elimination of our 11th place finisher, the final table of 10. We will have chip counts and seating assignments shortly. Cards are back in the air for the final 14 players of the $1,200 Mega Stack. Blinds are now 15,000/30,000 with a 5,000 ante. The 14 remaining players are now on their 70 minute dinner break. The tournament staff will be coloring up and racing off the 1,000 chips during this break. When the field returns, they will be playing 15,000/30,000 blinds with a 5,000 ante. 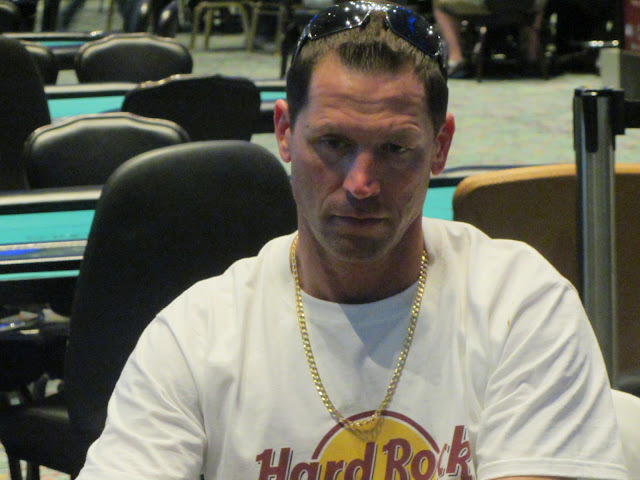 Jason Drysdale is all in with king ten and flops a king, but his opponent flops trip jacks. Jason is eliminated in 17th place, good for $3,608. Chris Tryba pushed the last of his short stack in with Q-J and was called by Soheb Porbandarwala who held pocket aces. Chris picked up a gutshot straight on the turn, but failed to get there on the river. Chris will be our 15th place finisher, good for $4,638. The $1,200 Mega Stack is now down to its final 18 players. Everyone is guaranteed $3,608, with the next pay jump at 15 players to $4,638. The field has been trimmed to 20 players, and they are now on a 10 minute break. All players are guaranteed $3,092, and at 18 players there is a pay jump to $3,608. When they return, they will be playing 10,000/20,000 blinds with a 3,000 ante. A short stack shoved the cutoff with A-8 and was called by the big blind with pocket sixes. The pocket pair held up, and the final 36 players are now in the money. Two players that made it to the money are Chris Tryba and Soheb Porbandarwala. Chris is a regular on the tournament scene who has a six figure win at Borgata last year as well as 9 WSOP cashes. Soheb is a Foxwoods regular who's favorite hobby is raising. His biggest cash is a $23,500 finish in the 2010 PCA. We had a few close calls, but it came down to a coin flip to burst the bubble. A short stack shoved the cutoff with A-8 and was called by the big blind with pocket sixes. The pocket pair held up, and the final 36 players are now in the money. Everyone is guaranteed $2,748, while first place is a whopping $81,611. We'll have a video of the bubble hand up shortly. We lost a player on our feature table when his A-J fell to a set of fives, and now only 37 players remain. The tournament will now play hand for hand until one more player is lost, and then the remaining 36 players will be in the money. After losing a large pot with [As][Ts] against [Ad][Qs] and pocket sevens, Ronnie Pease got the last of his chips in with pocket fives against A-K. An ace on the flop sent Ronnie to the rail a few spots shy of the money. Cards are now in the air for Day 2 of the $1,200 Mega Stack Main Event. 46 players remain, and the top 36 players will make the money. Full payouts are available here. The tournament staff has drawn a card, and the card was a six. This means every table will play six more hands before the day is complete. Blinds have been increased to 3,000/6,000 with a 500 ante. Only 68 players remain, and this will be the last level of the night. At the end of this level, all remaining players will bag up their chips and return at 11am to play down to a winner.